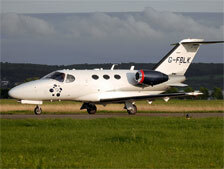 Forest Aviation was set up in 2003 by directors Clive Chapman and Sarah Chapman. Clive was previously employed by HMRC for over 20 years, and the latter 13 years specialising in Aviation matters. He was the founder member and the driving force of the Customs General Aviation Centre of Operational Expertise (GA COPE). Clive was instrumental in the development and production of the multi-agency General Aviation report (GAR) form, which is now widely in circulation throughout the United Kingdom. Clive was also the creator of the free circulation certificate (FCC) scheme. Sarah is a Solicitor of 10 years qualification specialising in Contract and EU law and a former teacher of law and practice to the legal profession. Forest Aviation acts on a wide range of issues for a diverse range of clients including many aviation finance companies, commercial airlines and numerous general aviation companies as well as private individuals, some of which are very well known as sporting and television celebrities. However we still act for many private individuals and our charges are tailored to suit the needs and particular issues at hand. We have acted for a number of clients who have had their aircraft detained both in the UK and in other member states and also for a number having problems with reclaiming VAT or on appeal over assessment of VAT arising perhaps on IPR matters. We have offered the Denmark import route for sometime, after liaising with Danish Customs. Our service differs from those offered in Denmark in that we obtain prior individual approval from UK HMRC to use that route. Having expanded our range of services recently, has meant we now offer freight services, and have links to arrange finance where needed. We have found that handling the whole procedure and co-ordinating these, mean less problems for our clients. Forest Aviation pride themselves on offering a friendly, professional, flexible service which our clients feel meets their needs; due to their passion for the industry tend to work the hours clients need which has meant their business has grown substantially over the past 5 years. 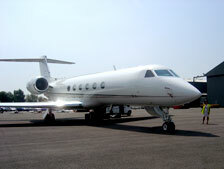 We regularly attend aviation events such as; Ebace, Helitech, Aeroexpo, NBAA, IOC.